As we reflect on Term 3, and essentially the year that has been, I take great pride and satisfaction in the efforts and commitment of the group of young men who I have had the privilege of working alongside throughout 2017. This will be the last time writing to the College Community that I have called home for the past 5 years, and one of the final opportunities to bid farewell to a place which has given me so much and allowed me to develop into the person I am today. It is with much excitement and trepidation that the Class of 2017 prepares for the final stage in our schooling journey. Looking back to the term that was, as a group we were able to raise awareness for a number of key issues currently facing our society, and in particular young men. The most notable initiative, and one which we were looking to finish off our time with a bang was the Blue Week run in Week 9 focusing on men's health, and mental health in young men. It is hoped that the activities and information throughout the week allowed for growth in the young men of the College to understand and more importantly recognise periods in their lives when things may not be going their way and how to deal with these struggles. Being in a Christian Brother School which is part of Edmund Rice Education Australia, the four touchstones of Liberating Education, Gospel Spirituality, Justice and Solidarity, and Inclusive Community were driving factors behind the initiatives we wanted to run throughout the year, however, it is not just in our actions that these touchstones can be seen. The greatest example of Liberating Education which can be seen in the College is from the staff themselves, who work tirelessly to provide us with the best education possible. The two touchstones which the Prefect Group focused on throughout the year were Justice and Solidarity, and Inclusive Community. The Justice and Solidarity touchstone can most recently be seen in the World XI vs First XI Soccer match which aimed to recognise the diverse cultural backgrounds of many boys here at the College, and respecting the fact that no matter where we come from, we are all one through the Red and the Black. Although it doesn't feel very long ago that I was appointed Head Prefect and our Prefect group was handed the reins, it is now almost time for us to do the same to the Prefect Group of 2018. I know that those young men will continue to embody the work of Edmund Rice and what it means to truly be a Rostrevor man, a 'Man for others'. I would like to congratulate Luke Valente on his appointment as College Captain and wish the group all the best for the year ahead. To the boys at school next year and beyond, continue to strive to achieve your very best. Enjoy your time at the College, soak up every minute that you can; before long your time here will be over. Continue to represent the colours with pride and uphold the legacy of the men who came before you. Finally, to my fellow Year 12's, it has been a tumultuous road, however, we have made it here together. Thank you for the years of support and mateship, and I wish you the best of luck for the future. Let us continue to create a lasting legacy for many years to come. I would like to begin by referencing my favorite film, Dead Poet's Society, which has been heavily influential in cultivating the pursuit of knowledge amongst popular culture. There is a famous quote from Robin William's character, John Keating, who states "Medicine, law, business, engineering: these are noble pursuits and necessary to sustain life. But poetry, beauty, romance, love these are what we stay alive for". It is in times of much stress and perceived pressure, that we cling to these practices which seemingly allow us to stay alive but forget the inherent reasons we fight to live for at all. This term was no doubt a contributor to stress levels for many, as it saw an abundance of trials and tribulations, but out of these challenges great successes emerged. The likes of Blue Week, Multicultural celebrations and commitment to uphold the very ideals and values that this College was built upon. However wonderful these may be, we must continue to be as active in the community as possible, forever living altruistically and virtuously down whatever paths our humble lives may lead. It is a divine commodity of this being to have the capacity to serve others, so therefore it is our duty to help those who cannot help themselves. I wish all students the very best as they prepare to leap the final hurdles for 2017, to land themselves in great starting blocks for the race that will be the rest of their life. To the Year 12 families and in particular the students, in the theme of 'Seeing Further', look not on the ground of which you stand but of the horizon that lies ahead for that is where your true purpose can be discovered, within the unknown. In saying this though, let us not forget from where we have come, so we can remember where it is we would like to go. Enjoy the holiday period and best wishes. Term 3 in Duggan House has been quite eventful with the conclusion of winter co-curricular activities and the annual Boarders' Mass at the College. Earlier this term, the Duggan boys came together with the students from the day school (as they do most weekends) to face off against the arch rival, Sacred Heart, in all aspects of winter co-curricular. For some boys, smiles were present around the house as they were victorious within their respective sport and grade. 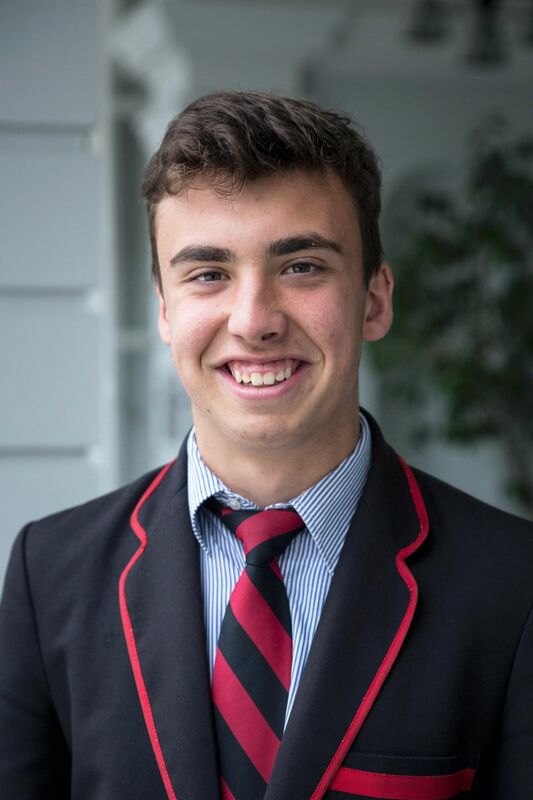 On behalf of the boarding family I would like to congratulate one of our own boys, Harrison Petty, who was named Intercol Medallist for the First XVIII. All members of Duggan House can hold their heads high, as we gave our personal best on the day. Another special occasion was the annual Boarders' Mass at Rostrevor, combining with our "sister boarding school", Loreto. We were lucky enough to have Chapel presented by Father Kelly, with the Year 12 boys standing up and reading in front of the group. This was followed by a nice meal in the dining room. Due to poor weather conditions, unfortunately the ovals were out of use and the planned touch rugby match could not be played. Instead we headed up to the gym where the Year 12 Loreto and Rostrevor boarders took on the Year 11 boarders. This opportunity provided us with a chance to interact with females who come from similar backgrounds. 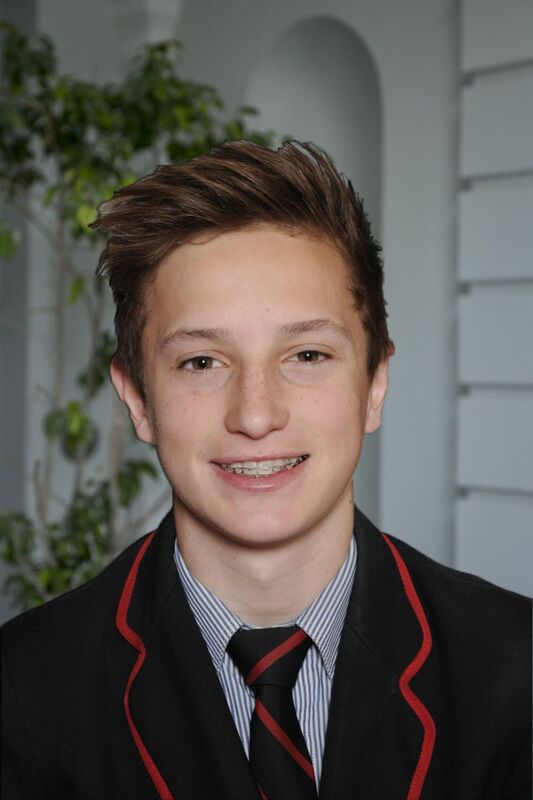 Finally, I would like to take this opportunity to congratulate Max McKay who has been appointed the Head Boarder for 2018. I'd also like to congratulate Angus Honner and Jacob Kennerly who have been appointed House Captains. Term 4 is an exciting time to watch the new reign of leaders who will commence their roles for 2018. As for the Year 12 boarders, I urge you to continue to knuckle down and finish the year well. As we head into the holiday period, I wish all boarders safe travels home. As we reach the end of Term 3, this period signifies that the schooling journey for the Prefects and Year 12 students is near its end. Despite this, the Prefect body has continued our various roles and responsibilities, whilst also developing new initiates. One of these such initiatives is Blue Week; a week long campaign to raise awareness and take action against mental health issues in men, including prostate cancer. Unfortunately, every day 54 men are diagnosed with prostate cancer and tragically nine a day do not survive. Moreover, more men die of prostate cancer than women die of breast cancer. In terms of mental health issues, one in eight men will suffer from depression and one in five men will experience anxiety at some stage of their lives. With this in mind, the Prefects organised a week of presentations to each House making them aware of these frankly shocking facts. This was coupled with awareness raising activities later in the week such as a whole school barbeque and the Loreto vs Rostrevor netball match. As Term 3 concludes, the Prefect body now passes its responsibilities onto the 2018 Prefects. I wish them good luck in their future endeavours, and remind them that as Prefects it is their duty to have an impact on our school that cultivates kinship and leadership amongst the whole Rostrevor community. Term 3 was a big term for the Social Justice Group as the inaugural 'Delicious Diversity' shared lunch was held on Wednesday of Week 8. We recognised the importance of coming together as well as our home countries, cities, the places, people and regions we call home, giving us a chance to learn more about each other. The stories we brought to the shared table offered an opportunity to discover 'a taste of what makes Australia great'. Whether we identify as one of Australia's first people, a new Australian or a descendent of migrants who have arrived during the past 200 years, understanding and celebrating Australia is about recognising the diverse cultural stories that make up our society. The day was a huge success as the masses descended hungrily to join in the deliciousness and a time of sharing and conversation. And even Snags and Lamingtons from our own backyard. A big thank you and congratulations for your collective efforts for the Delicious Diversity shared lunch. As the year draws to a close for the Year 12 cohort, I've thoroughly enjoyed my role as the 2017 Community Activities Prefect. 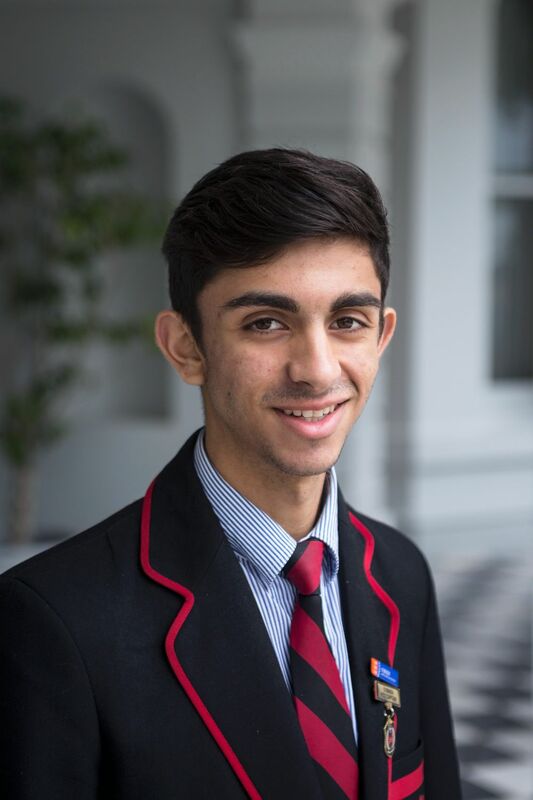 It has allowed me to work closely with the whole Prefect body, with the privilege of discussing new ideas on how to improve our great school each week. One of my major roles was contributing to the design aspect of the memorabilia, working closely with Domenic Scopelliti and all of the Prefects. The Year 12 cohort is eagerly awaiting the arrival of memorabilia, which is expected soon. 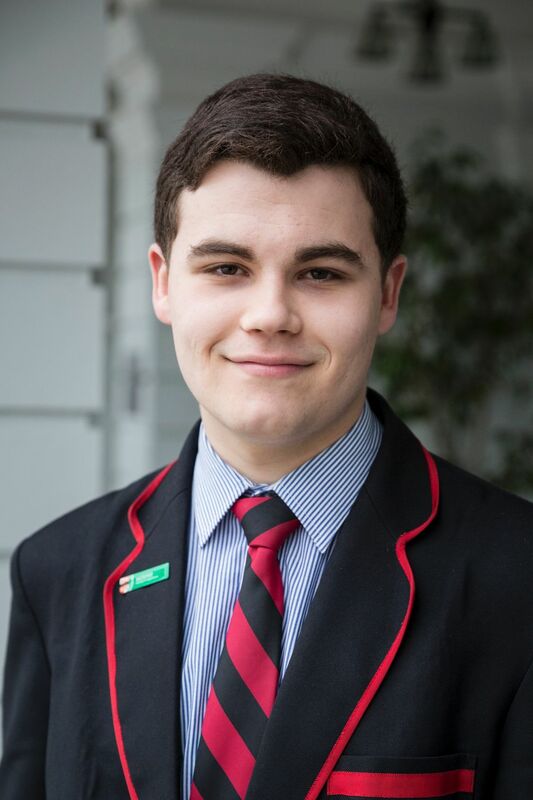 As a Prefect, I have had the opportunity to work with the Canteen staff once a week, which has allowed me to communicate with a large proportion of students. I believe that this year has been a success, with the current Prefect group upholding a great community amongst ourselves, working together to make a positive change in our school. As another school term comes to a rapid close, it has been an extremely successful period for both the College and for Barron House. 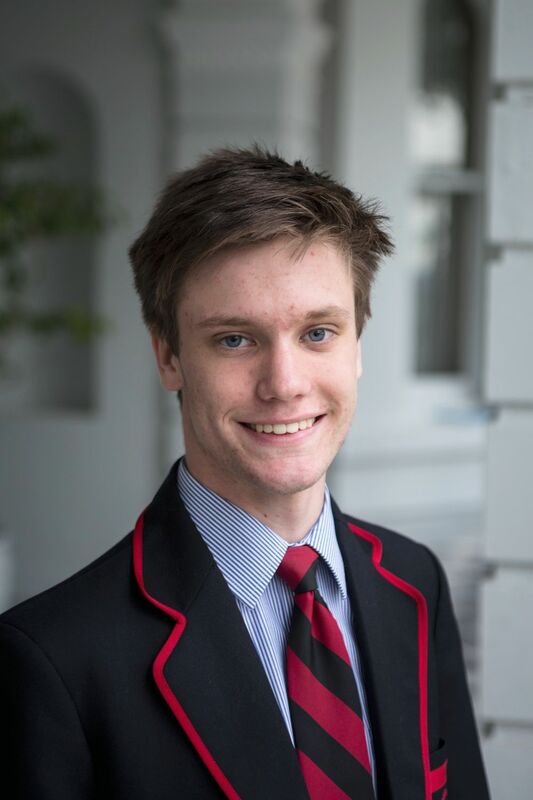 I would like to personally extend my congratulations to the four Barron students who have been selected as 2018 College Prefects: Andre Lewinski, George Connolly, Patrick Moller and Max McKay. Our term objectives to aim high, to contribute and, most importantly, to continue to build an even greater Barron House and entire College have been displayed with absolute passion and pride within the schoolyard and behind the scenes. 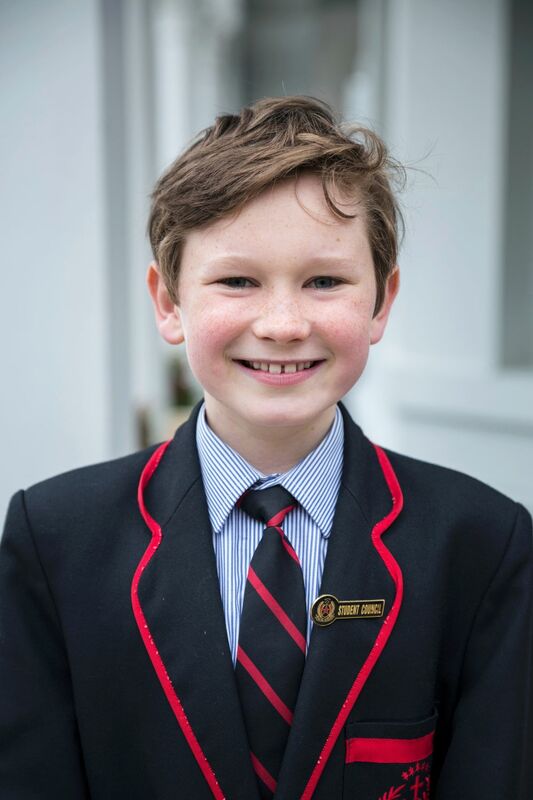 The main focus for the term in Barron House was to improve our academic performance, and it has been extraordinary to witness a significant improvement in results. 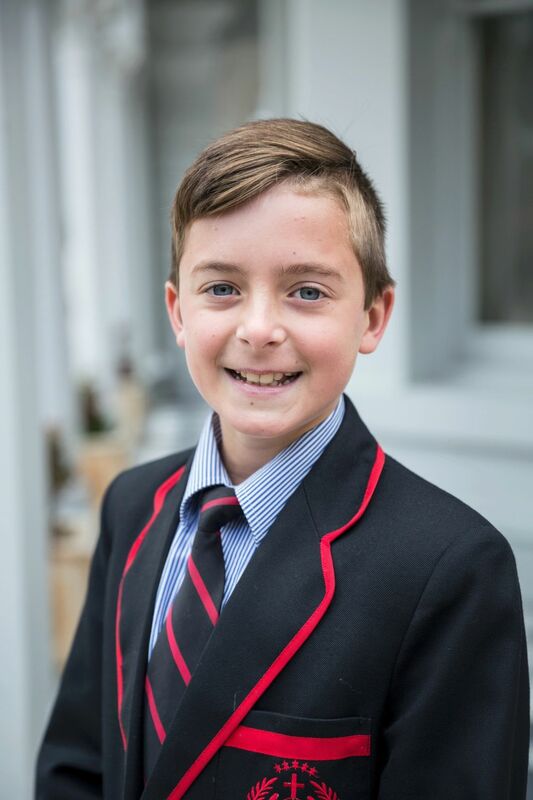 Term 3 included events such as Marian Day, Blue Week, Walkathon, Intercol weekend and the annual Middle and Senior Years Athletics Carnival, making it a very exciting term for all the boys outside of the classroom. I would personally like to thank the Pastoral Care Staff for their endless work in ensuring that all of these events ran smoothly, as they simply could not have been completed without them. Furthermore, Barron House has accumulated a large sum of donations from various initiatives and fundraisers, through Blue Day, House Colour Day along with the weekly Chapel and Kelty gatherings. These funds will no doubt considerably increase in the coming months as we aim to reach our fundraising goals for annual House Charity, Edmund Rice Camps. 2017 continues to be a highlight for all as the Rossi pride has never been stronger. Remarks are often made about how well we are building upon our rich history, starting new traditions as well as reincarnating the old. I am looking forward to the remainder of the school year, as I am sure many other students are as well. 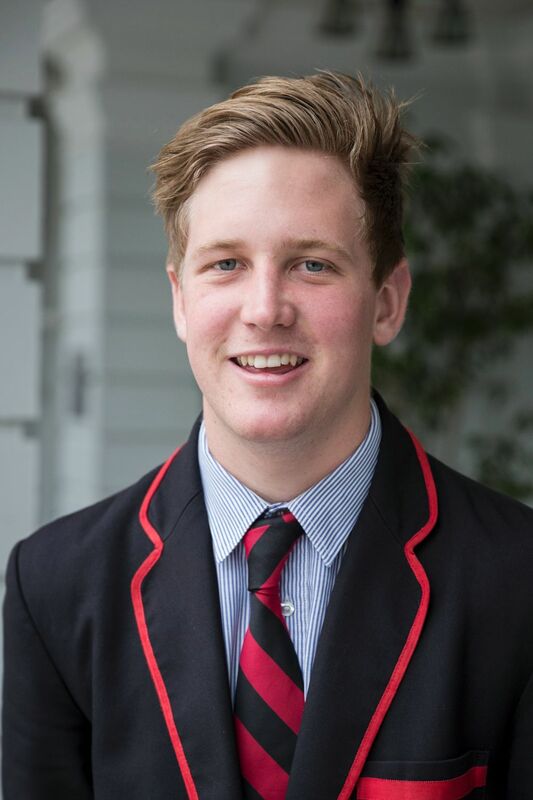 It is unbelievable to consider that my time at Rostrevor is coming to an end, however, it is with a strong sense of understanding that I know the Red and Black spirit will live on in all boys and specifically Barron House. Good times come and go, but the memories will last forever. If Plan A hasn't worked so far, the alphabet has 25 more letters! After all, "today is a gift, that's why it's called the present". All Barron House members are looking forward to the holiday break, as a time to relax and recharge for the final term of the year; I wish you all a safe break. Finally, I would also like to wish all of my fellow Year 12 colleagues the best of luck in the remaining few weeks of school for their final exam preparations. The strong bonds formed with each of you will always be remembered. Most importantly, we must never forget that we are 'Rossi' Brothers for life. Term 3 of 2017 for the Egan cohort has broken records. We have been able to continue with our wonderful charitable work including Friday morning BBQ's. 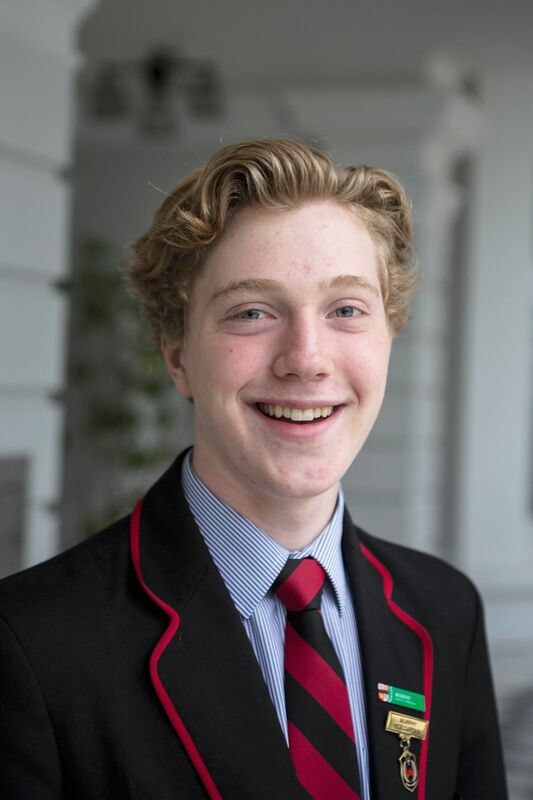 Egan House had a successful Blue Week where we were able to aid the College's endeavours in raising awareness for men's health, producing a feat unlike any other at Rostrevor College. Our House successfully retained the Athletics Shield for the fifth consecutive year, taking out both the Middle and Senior Years awards as well. As for the remainder of the year, we are still striving to produce awesome results in academics, as a means of taking a higher place in the 2017 Academic Shield. 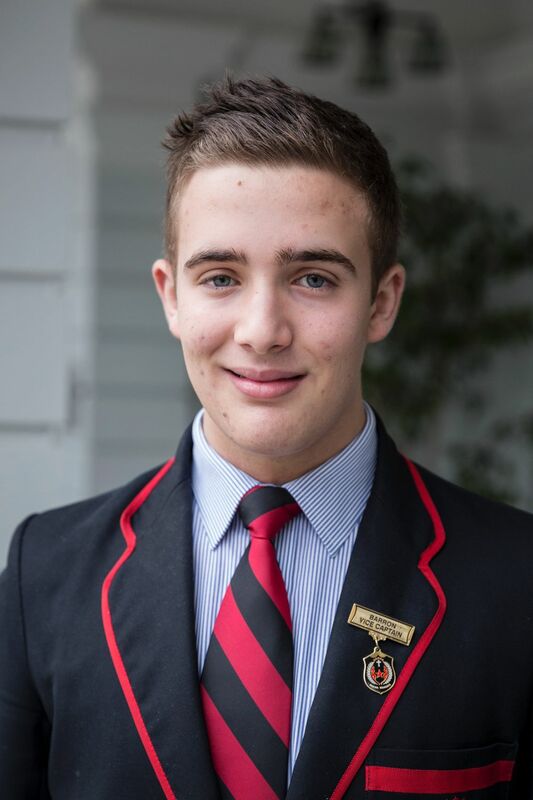 As the final week of the term draws to a close, I think back upon the experiences I've had over my time at Rostrevor. My final year as Gurr House Captain has been truly special, enabling me to lead a House that I am proud to call myself a founding member of. 2017 can once again be considered a success for the 'TiGurrs', finishing a narrow second to a very strong Egan House at both the Swimming and Athletics Carnivals. It was especially rewarding to see the younger leaders of Gurr stepping up on the day, ensuring that every boy played his part. Other highlights include the famed return of Mr Deegan as Acting Head of House for the remainder of the term who brought a sense of nostalgia to the early days of the House. Walking around the suburbs to Newton and back was another chance to get away from the classroom whilst also raising money for our charity, Edmund Rice Camps. Furthermore, we had the opportunity to recognise important issues surrounding men's mental health during Blue Week, a Prefect initiative. I wish all members of Gurr a safe break, which for the Year 12 students will be a time of preparation for their final weeks of schooling and examinations. Personally, I would like to sincerely thank both the past and present staff of Gurr House who have watched the Year 12 cohort grow over the last five years and for their efforts and contributions. In closing, I wish Gurr House nothing but continued success on all levels as they move forth to write the next chapters of the 'TiGurr' history books. 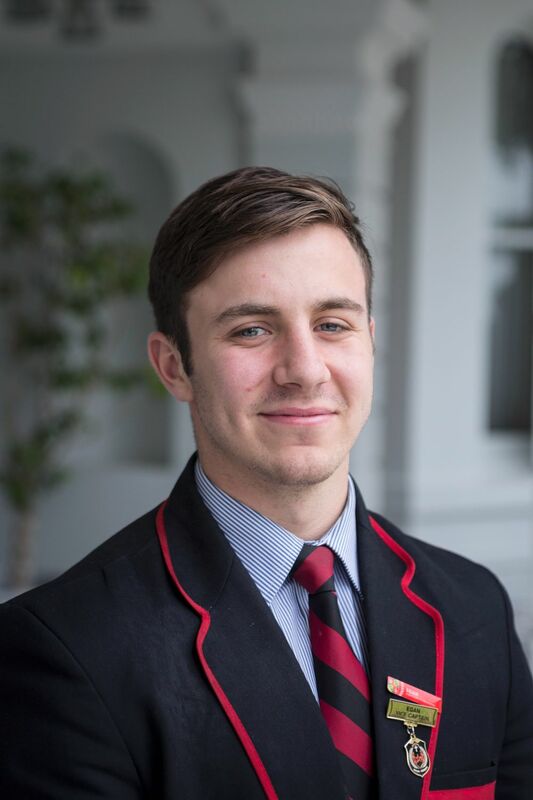 Congratulations is extended to Jacob Kennerley and Luke Valente on their elected Prefecture as 2018 House Captain and Head-Prefect respectively and for taking up the Gurr leadership reigns for 2018. Term 3 has been another successful one for the men in Murphy House. I have thoroughly enjoyed my final full term within Murphy House and I love seeing the smiling faces in PC classes and assemblies every morning. Earlier in the term, we competed against the other Houses in the annual Athletics Day in which the best of the school competed for glory. While Murphy was not victorious on the day, we were successful with brilliant individual efforts and a collective House spirit that greatly rivalled that of the victors. The efforts of the House were greatly appreciated by myself and Ms Bosco, and hope for continued success at this event for years to come. Murphy House also participated in the Walkathon, a tradition that started within the House and has continued its success as a whole school activity. Once again, I would like to thank the Murphy boys for the attitude they brought to this event, smiling and laughing throughout the entirety of our walk. 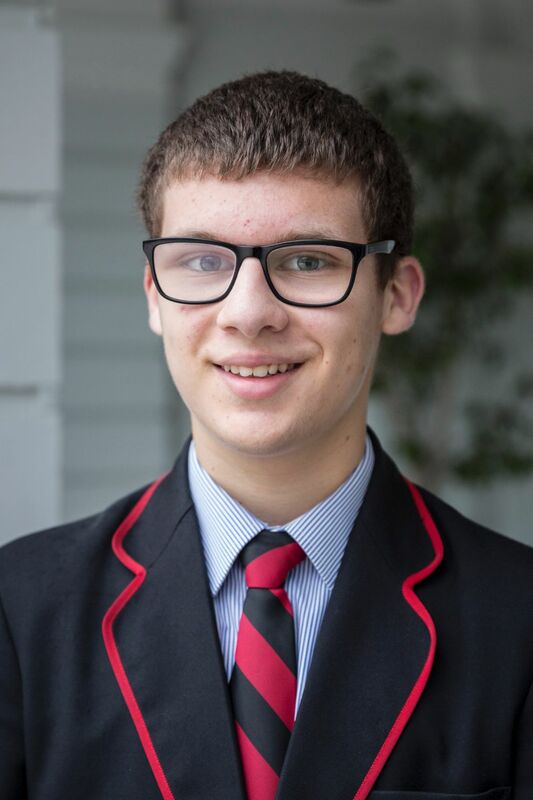 Congratulations to Joshua Shute for his captaincy of Murphy House in 2018, I have full confidence in his ability to lead Murphy House to great success and wish him well in all personal and House endeavours over the next 12 months. After another successful term, I wish all members of the House a safe, happy and well-deserved time away. You are implored to take the time to evaluate your progress over the term, and for Year 12 cohort, with a limited time remaining, take the time for some rest as well as preparing for the end of the school year, whether that be preparing for final exams or major assignments. Once again, thank you for your efforts and I can't wait to see you next term. Term 3 saw a few changes to O'Brien House, the most notable being the provisional leadership of Mrs Marnie Tiggemann. Leading the House through a turbulent term for many of the Senior students would be no easy task, but Mrs Tiggemann took to this role deftly. We once again battled it out, brawn against brawn on the Santos tracks and fields. While other Houses squabbled amongst each other, the O'Brien spirit shone through, becoming our defining feature as we claimed the Spirit Shield for a second time this year. Another notable event this term was the Walkathon; this was an event new to O'Brien and most of the school, but most students completed it with enthusiasm, exploring the lovely surroundings of Rostrevor for a much-deserved cause. 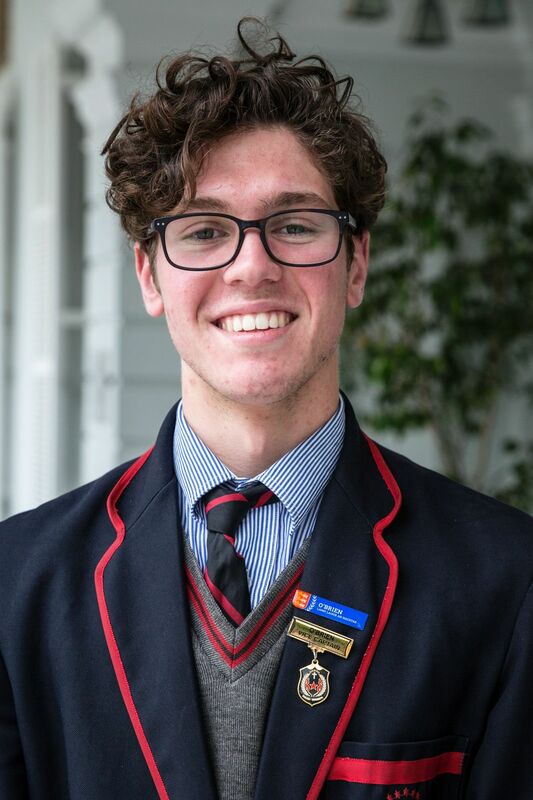 As the Year 12 cohort heads into their final weeks, the O'Brien community, specifically the Year 11 Leaders have been stepping up, giving a much-needed hand. 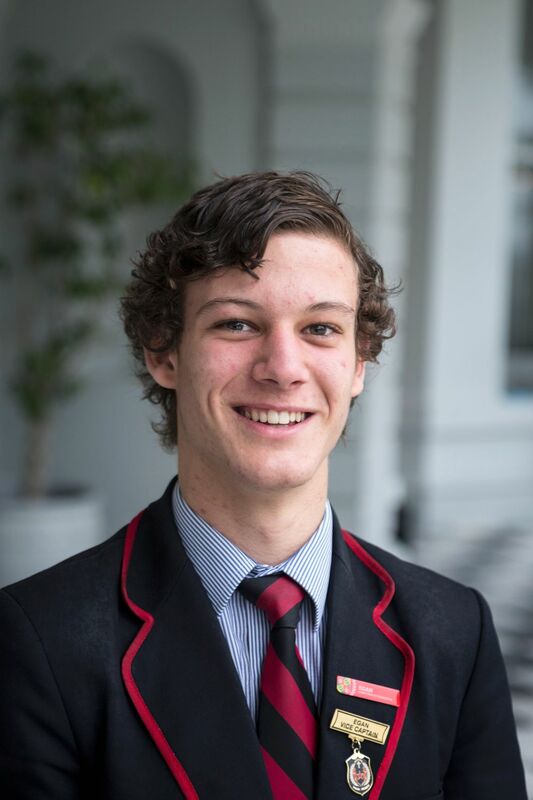 As this term comes to an end, on behalf of Damien Pipicella and myself, I would like to thank all members of O'Brien House, Vice-Captains and Mrs Tiggemann for their tireless efforts. Webb House has had a very eventful and successful 2017. The year started with the Swimming Carnival where much fun was had by everyone regardless of the result. It also provided an opportunity for a break from school work for a day in order to compete against friends in the pool. Midway through the year Webb House participated in the annual Walk a Mile in my Boots Campaign. This walk raises money for the Webb House charity, the Hutt Street Centre. Numerous students came into the city to walk with thousands of others in support of the homeless of Adelaide. A whole school Walkathon was also completed in support for all House charities; It was great to walk around the suburbs talking with mates and greeting residents. Athletics Day took place early in Term 3; Webb House participated tremendously and came an overall third with the Senior Years doing exceptionally well polling second; one of Webb's best results in its short history. Finally, Webb House is still leading the Academic Shield and hopes to remain on top for the remainder of the year. We plan to build on our recent success with the future Captain, Angus Honner, who I have full confidence will be able to lead the House to bigger and better things. For the third straight year, the Year 6 cohort went on a Tour of the National Capital, Canberra. On Tuesday morning, 19 September, everyone had to wake up at about 4:00am for a 6:00am 'red eye' flight to Sydney. After a two-hour flight, we arrived at Sydney Airport where we collected our bags and boarded a bus to Sydney's famous Circular Quay. While in Circular Quay, we boarded a Sydney Harbour cruise in order to view some of Sydney's beautiful landmarks. After about two hours and a quick lunch stop at 'First Fleet Park' the Year 6 crew took a 3½ hour bus drive to our accommodation at Ibis Styles in Eaglehawk. After settling in for the next few days of action and excitement, we all enjoyed a well-earned dinner. On Wednesday, we visited the wondrous National Museum of Australia and the impressive High Court where we learnt all about how the courts run and the different roles and responsibilities of each of the three court rooms, before having a nice sandwich lunch and walking to the National Gallery of Australia. The Gallery was a highlight as it was very interesting and we saw many colourful and famous paintings such as the 'Blue Poles' by Jackson Pollock and the Ned Kelly Series by Sydney Nolan. Our next stop was the National Capital Museum and finally Mount Ainslie where we were able to appreciate the amazing town planning and design skills of Walter Burley Griffin who, along with his wife, planned our Nation's Capital without ever having visited Australia! On Thursday, we were up early to get to the Australian Institute of Sport. This was another highlight. Prior to the tour we were taken to the basketball courts to play European Handball and Futsal (indoor Soccer) and then to the combat centre to play Sock Wrestling, a sport where you have to wrestle your opponent's socks off while crawling on your knees. Once we had finished our mini sports lesson, we were taken on a tour of the AIS facilities. We watched training of elite swimmers, athletes in the gym and Australia's best gymnasts. Our next stop was the Electoral Education Centre followed the incredible and well-known Questacon (National Science and Technology Centre). It was really interesting to observe experiments and contraptions in action. On the final day of our tour we headed to the most memorable places in Canberra, the Australian War Memorial, where we had a tour about the ANZAC Legacy and then roamed around the Museum looking at all the interesting artefacts and objects. It was then time for the most anticipated part of the trip, visiting New Parliament House. There was much excitement about this part of the trip because many of us had seen it on TV but had never been there in person. Before the tour started we were taken to a room whereand we performed a role play of what it would actually be like being a Member of The House of Representatives. It was fun debating and discussing a bill and seeing how it all worked. Our final trip of the day was down Embassy Drive where we saw all the International Embassies and High Commissions, and then to Canberra Airport. After a two-hour flight, we arrived back, safe, in Adelaide and while doing so, flew over a packed and lit up Adelaide Oval! We take this opportunity to thank Mr Monda and Mr Terminello for taking time away from their families to prepare, assist and help us while on this tour we had a ball! Students from our College have recently undertaken an education tour of the National Capital. They were given the opportunity to participate in a variety of educational programs with a focus on Australia's history, culture, heritage and democracy. The Australian Government recognises the importance of all young Australians being able to visit the National Capital as part of their Civics and Citizenship education. To assist families in meeting the cost of the excursion the Australian Government is contributing funding of $60.00 per student under the Parliament and Civics Education Rebate (PACER) Program toward those costs which is paid directly to the College upon completion of the excursion. We take this opportunity to publicly thank the Australian Federal Government for their continued support of our Civics and Citizenship Program at Rostrevor College Junior Campus.